"A New York man has allegedly infected 240 people with the HIV virus by sleeping with men and women." By Dan Clark on Sunday, April 2nd, 2017 at 6:00 a.m. This is one of the websites where this fake news story was shared. A blog post widely shared on social media claims "a New York man has allegedly infected 240 people with the HIV virus by sleeping with men and women." We found the post on Obnoxioustv's Blog but it has appeared on other websites, too. The post says the New York City Police Department seeks to arrest Isaac Don Burks. "Burks, a black gay man from West New York, N.J., just outside Manhattan, who police say may have started his ‘mission to infect as many people as possible’ with HIV as far back as ten years ago, was described as ‘sick in the head’ by one alleged victim, who notes that Burks alluded to having possibly infected as many as 300 victims," according to the post on Obnoxioustv's Blog. "The victim, who did not wish to be publicly identified, recalls that Burks has been on a ‘downward spiral’ since the death of his mother, and plies his prey with drugs and alcohol, to ‘bring their guard down.’ "
The post says authorities in New York City are offering up to $100,000 for anyone with information leading to an arrest. The post also claims the New York City Department of Health called this case "the first time a HIV infected individual has spread HIV to so many victims." The story has been shared on several different websites. Facebook flagged a link to the story on Obnoxioustv's Blog as a potential fake news story. The post, first published in 2013, has appeared again recently on social media sites. We could not find any coverage of the story on reputable news sites, and the website’s owner did not reply to our inquiry. Is the post correct that a man has infected as many as 300 people with HIV? The post quotes the New York City Health Department urging anyone who may be affected to seek help. We reached out to the department about the story. The department said both the quote and the story are fake. "We can confirm that this story is completely false," the department said in an email. The article provided a Crime Stoppers phone number for anyone with information to call. So we called. The number was, indeed, for Crime Stoppers -- but in South Carolina. The operator searched for the name of the alleged offender and his crime for us. A query led to the same article we set out to fact-check, along with a few others. The New York City Police Department runs New York City Crime Stoppers. The Police Department did not respond to our inquiry about the story, so we called the New York City Crime Stoppers line. The operator advised us not to share the article on social media. "We haven’t heard anything about that," the operator said. The New York City Crime Stoppers website has not listed anyone wanted by the name of Isaac Don Burks for at least the last six years. The organization has not sought anyone for a crime similar to the one alleged online. A website alleges a man has set out to infect as many people with HIV as possible and has infected up to 300 people already. The article is fake. The New York City Health Department says it is made up. Authorities in New York City are not seeking Burks or anyone for such an allegation. It’s fake news. Pants on Fire! 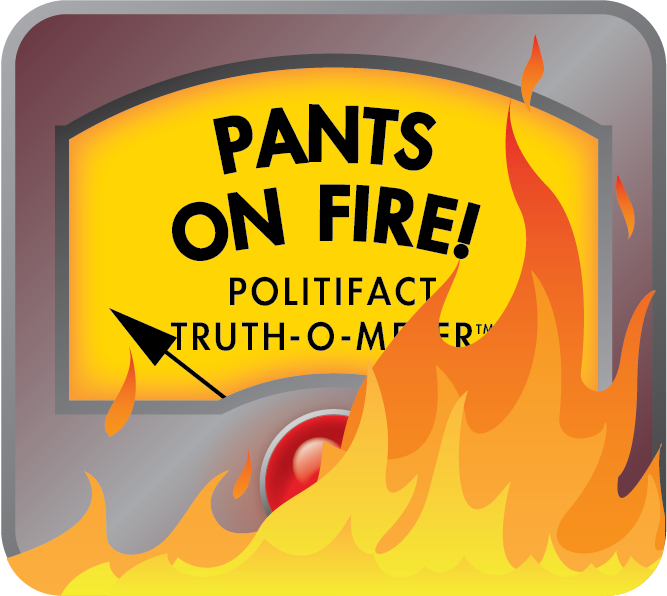 PolitiFact New York examined the origins of this claim as part of the inaugural International Fact-Checking Day, April 2, 2017. Organizers at Poynter.org describe the day as "not a single event but a rallying cry for more facts - and fact-checking - in politics, journalism, and everyday life."